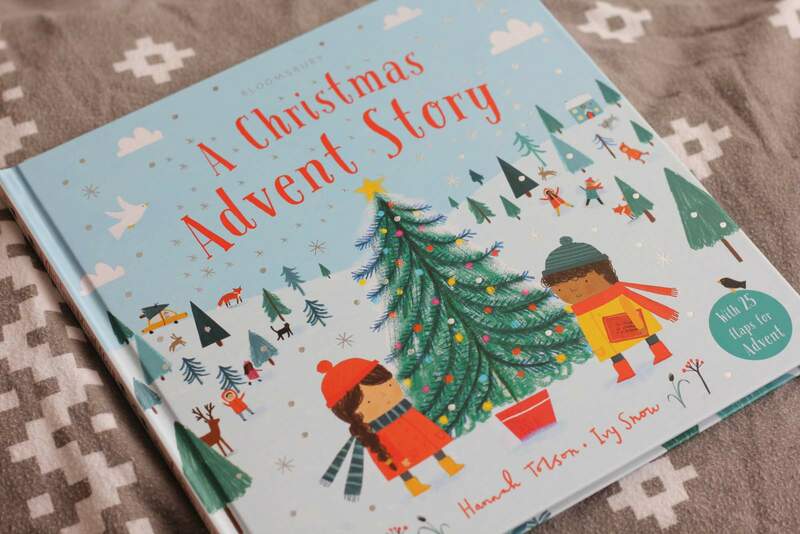 We were sent a copy of A Christmas Advent Story, by Ivy Snow, for the purposes of this review. At the moment, my boys are a bit excited about Christmas. When I say, “a bit” I mean they talk about it, ask if it’s soon, and wonder what they’ll get for Christmas pretty much 3 or 4 times a day. I’m reminding them that the countdown to Christmas doesn’t really start until after Noah’s birthday, but they seem to forget that not long after I’ve said it. 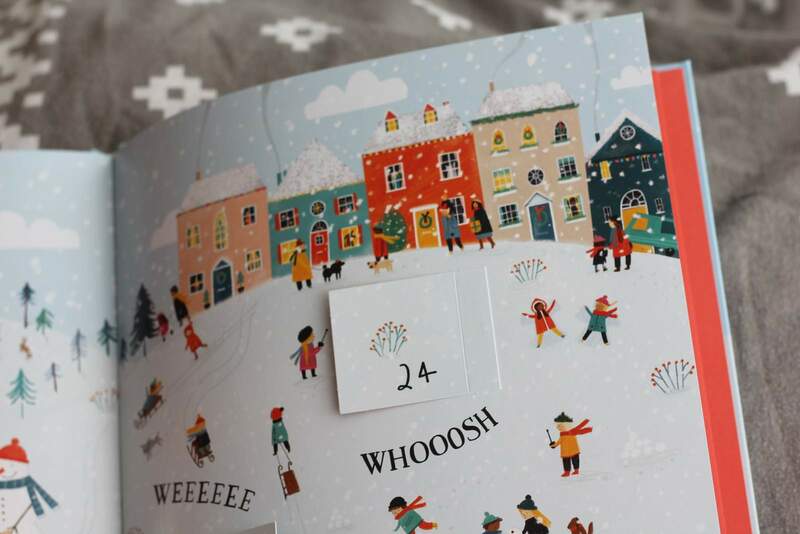 However, they’re ready, whenever the countdown does start, and this little advent book has been a really good way of letting them have a small slice of Christmas even though we’re not quite there yet. It’s Christmassy and really cute. 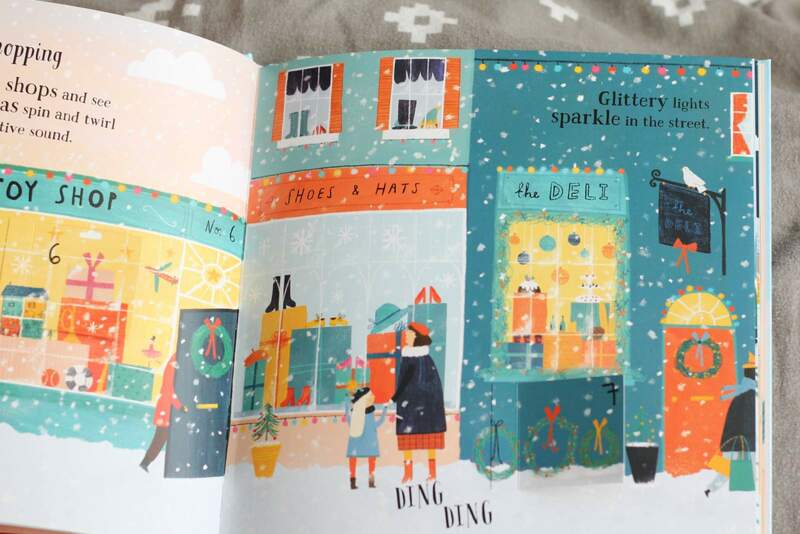 The illustrations are by Hannah Tolson, and are so sweet. 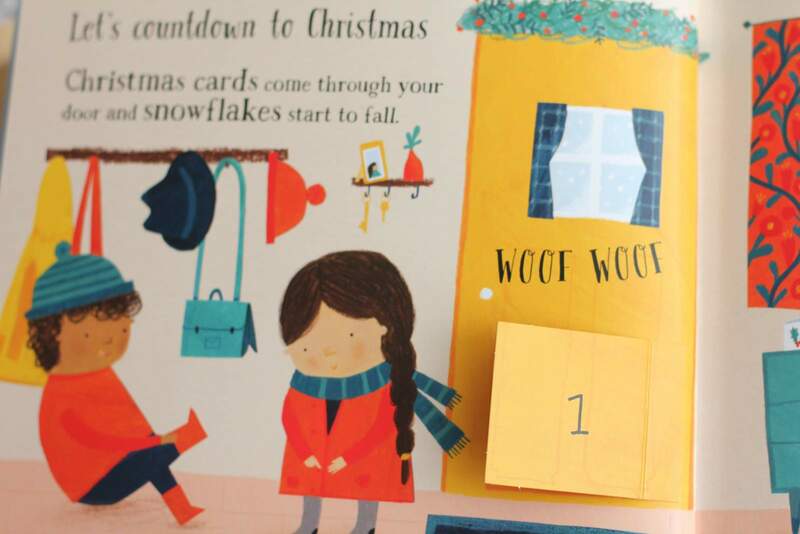 They show a a little girl, a boy and a dog on their countdown to Christmas Day. 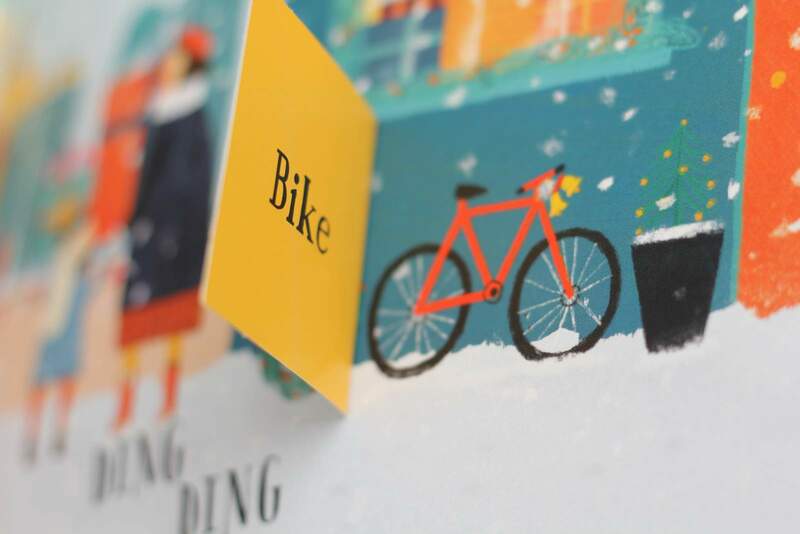 As you turn each page, you find more of the 25 flaps (one for every day of advent), each introducing a new word in this magical Christmas book. James is learning to read and each of the words is perfect for sounding out. The only slight downside is the font uses an a with the top on rather than the cursive a he’s learning at school. But it’s all good practice, right? It’s so exciting to see how motivated he is to read words, and this book really encouraged that (plus the pictures help with any sounds he’s not quite sure of). There are two flaps on each double page spread, and so the boys can take one side of the book each. No fighting over the flaps! 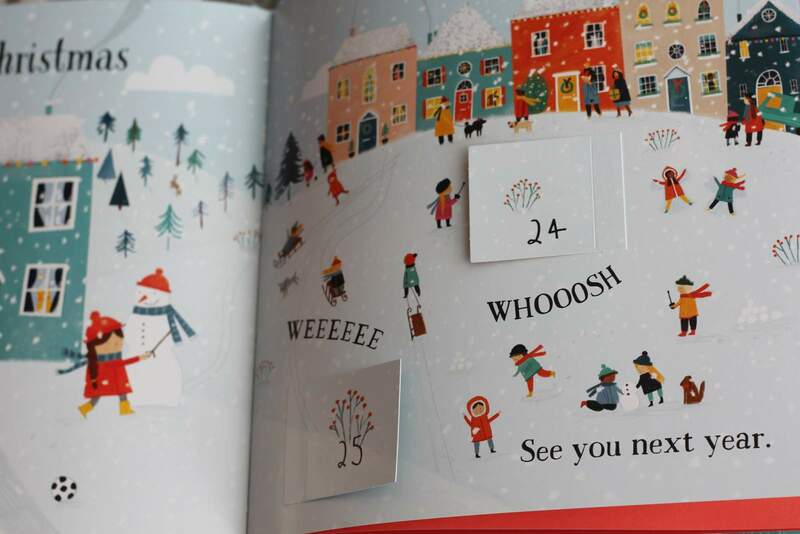 Each spread uncovers a new beautiful Christmas scene, such as ice skating and Christmas lights, Christmas shopping and carol singing, a gorgeous pine tree wood, plus lots more. 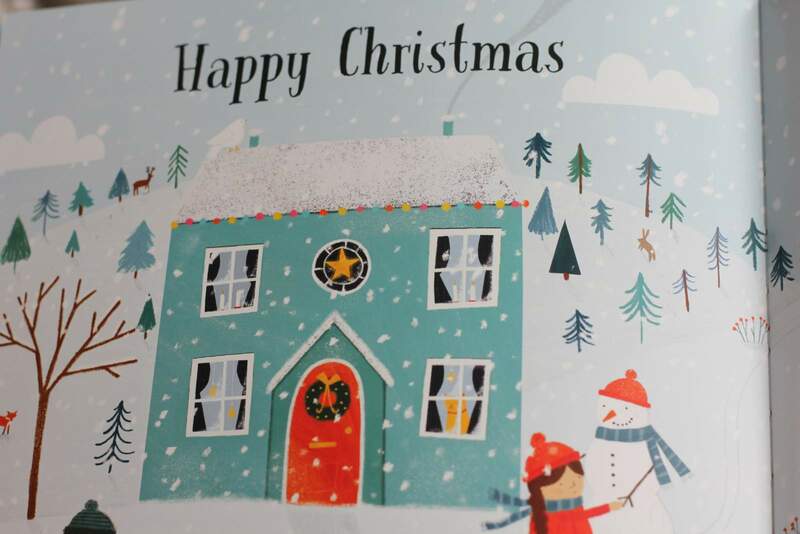 We also love that there is a sad old snowman to look for throughout, and find out what happens to him in the end! A magical book, perfect for Christmas, and if you’re doing a Christmas book advent, this would be a perfect starting book. Available from Boolino (currently with 20% off), and I noticed there’s a chance to win a copy over on Hannah Tolson’s Instagram. Giveaway ends Sunday 26th November and is nothing to do with me or this blog. Why do (even Itty Bitty) superheroes wear capes?